Accomplished business and technology professional with over 25 years of experience in general management (P&L), M&A, business development, strategic planning, market development, product management, IP licensing, and OEM/ODM/strategic alliances. Currently he leads a business development team within Motorola Solutions focused on the strategic development of the company and its primary businesses – Enterprise Mobility solutions (Mobile Computing, Scanners – Advanced Data Capture, RFID, applications and services), Government & Public Safety networks & devices (Astro P25 and Tetra Land Mobile Radio, Private 4G LTE, Integrated command & control, video surveillance and analytics, applications and services), and Indoor and outdoor Wireless Broadband solutions Enterprise WLAN, CEC (VoWLAN), Outdoor PMP access and PTP backhaul worldwide. General management and P&L expertise developing new businesses / product lines and leading life cycle management efforts for mature businesses. 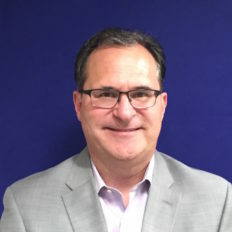 Wayne has led numerous acquisitions, joint ventures, divestitures, and business restructurings worldwide and has displayed solid industry experience leading the identification and strategic development of new business opportunities in Service Provider, Enterprise and Federal/State/Local government segments. He has extensive work experience in both U.S. and International markets. Wayne is an alumni of Penn State University.